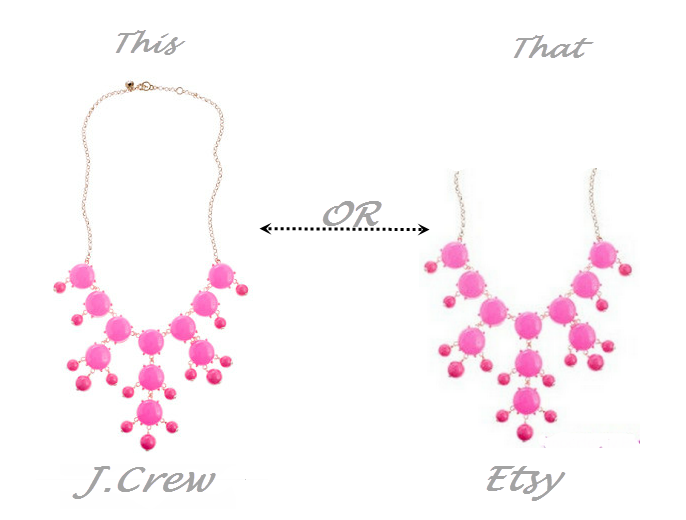 I love a good statement necklace, especially this pink J.Crew number. However I do not love the price at $150. I did some searching around and was astonished when I found what seems to be an exact replica on Etsy for $39.00. No one has to know its not the real thing!